After years of independence, India is still struggling for the basic needs of a low income group section. Basic shelter comes under affordable housing is still an issue. 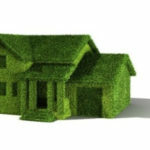 In a report of the Ministry of Housing and Urban Poverty Alleviation (MHUPA) in 2012, the demand of approximately 18.78 million households was estimated mainly by the weak unit of the society. 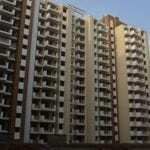 It impulse the government to announce affordable homes concept in India. 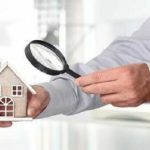 An initiative lofted by Mr. Narendra Modi in 2014, ‘Housing for All 2022’, Real Este Regulation Act (RERA), came into force in 2017, to regulate real estate transactions, along with an integrated taxation law – goods – Service Tax (GST), was implemented in 2017. These were few steps to expedite the affordable housing scheme in India. 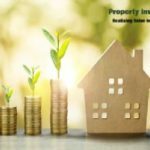 Despite all these encouraging schemes and laws passed by the government, there are many challenges experienced in the real estate sector. Let us discuss the elite challenges confronted by the affordable housing in India and some of its quick solutions. With the need of housing, the need for land has also increased. 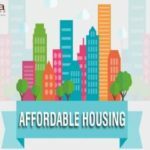 Lack of availability of urban land at reasonable prices, preventing the development and implementation of affordable housing in India is a major obstacle. The lack of affordable land in the main cities, push these projects into rural, pre-urban or rural areas. Thus, it increases the need for connectivity and reduces the cost of affordable housing scheme. Many builders and developers are still confused about this concept of housing. They believe that this housing scheme has the power to solve all the problems of buying a home in the country, but the execution of this scheme is very misleading. The government has started several finance schemes for the weaker sections of society, low income and middle income groups. However, the lack of financial literacy prevents them from enjoying these benefits. Educate the weaker sections: Educate the low income groups, the weaker sections of society and the middle income groups about the financial schemes and the support given by the government. 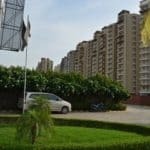 Liberate the land: There is extreme need for the government to rescue the land in urban areas for the development of affordable flats & homes for sale in India. Offer Affordable price: Offering low-interest rates to everyone is a step taken by the government and targeted segment, should be made aware of this. The government needs to work to improve the connectivity of cities. According to this plan, it is important to help the poor instead of seeing this scheme as a plan to make money and making roof on their heads. In order to encourage developers and builders (Bhiwadi) to invest in this initiative, any form of government tax, and fees applied on this tax should be removed. While there is no doubt that this plan has given many people a home to say that their home. However, these pain points should be addressed as soon as the case with rapid urbanization will grow rapidly. Accepting these challenges, the Government can come up with a solution to ensure that the affordable housing mission is a victory for both the people of India and the government.